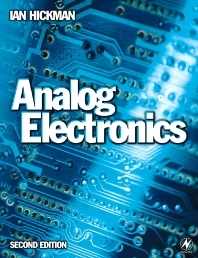 Analog Electronics is a vital book for all electronics designers to have to hand - it will answer nagging questions about core analog theory and design principles as well as offering practical design ideas. The second edition of this popular text has been enhanced with concise design implementations, with many of the circuits taken from Ian Hickman's magazine articles. Although not a traditional textbook, Analog Electronics is also an ideal course text for students at HNC/HND and degree level. The contents have been carefully matched to provide full coverage of the appropriate units in the new BTEC Higher National Engineering scheme from Edexcel. Ian Hickman is looked to by thousands of circuit designers for his innovative design ideas and clear explanations of the fundamentals of analog circuit design. This book is a distillation of Hickman's design insights, introducing all the main areas of analog electronics.